Presented by the Cleveland Public Theatre. BONUS PERFOMANCE: Special guests the Blue Streak Ensemble will present a portion of Margaret Brouwer’s oratorio Voice of the Lake, after the Cleveland Public Theatre’s performance! Voice of the Lake is a musical description of Lake Erie, the good and the bad, in the first quarter of the 21st century. The music portrays the constant motion of the waves splashing on the rocks, of walking on the beach, of the sun glinting on the water, of children playing in the water, and of the pleasure of a fisherman in his boat fishing. The Oratorio also depicts the environmental problems that the lake faces. 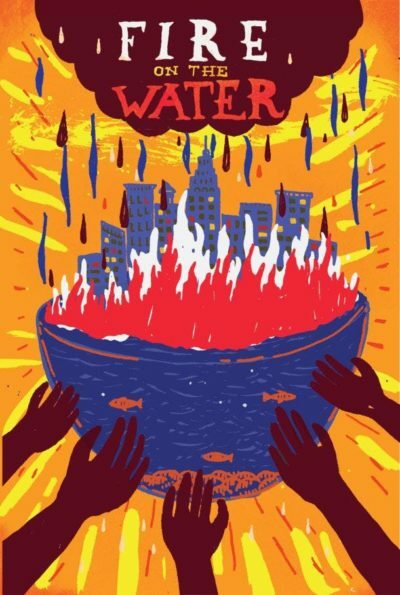 At this performance, you will be hearing excerpts from Part II: The Public Hearing, which is related to the modern day concerns about the Cuyahoga River and portrays the conflict of opinion in Cleveland as to whether it is safe to dump the dredged sediment from the Cuyahoga River bottom, which contains PCBs, into Lake Erie.